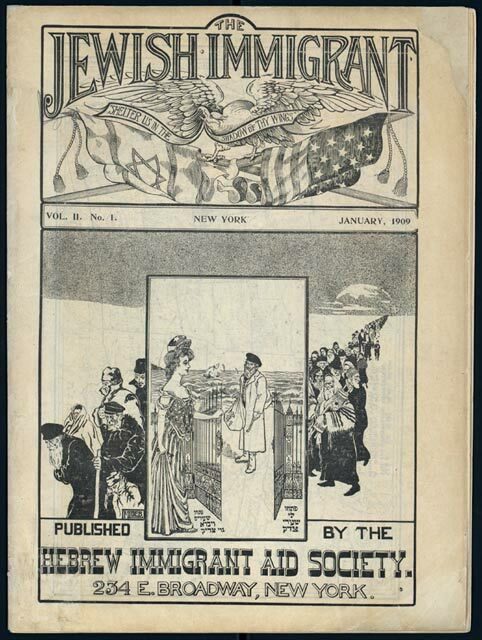 Cover of the journal The Jewish Immigrant. Vol. 2, no. 1. (January 1909) published by the Hebrew Immigrant Aid Society. The verse on the right reads: “Open the gates of righteousness for me” (Psalms 118:19). The verse on the left reads, “Open the gates and let a righteous nation enter” (Isaiah 26:2).